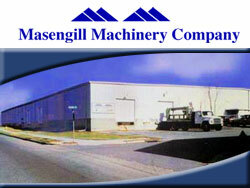 Masengill Machinery Company has been a family owned and operated business since 1963. We pride ourselves in knowing we put our customers first. Masengill Machinery Company is a full service company that has an inventory of both new and used machinery available for you to inspect. 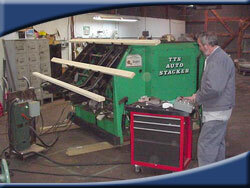 We are one of the Southeast's largest reconditioners and warehousers of used machinery. In order to serve you better, we have both inside and outside sales staff. There will always be a full-time sales representative here to answer your questions. Masengill Machinery Company is a charter member of the United Woodworking Machinery Exchange (UWME); an active member of Woodworking Machinery Industry Association (WMIA); Secretary/Treasurer of the Tennessee Truss Manufacturers Association (TTMA); and a member of the Structural Building Components Associate (SBCA). Real Time Used Machinery Search. Search Now: [GO] . Need to expand your business. We can help you lease or finance it: [GO] .